Regarding Bind & Trust Limited (1995 to 1997), the company went into voluntary creditors liquidation on May 17 this year. I wish to add that I am the main creditor, as I am owed more than 70% of the total. The total amount of credits, aside of the amount owing to me personally, is insignificant by any standard. As for the £16,000 allegedly claimed by NIG, the figure is wrong, as it is non-reconciled and does not match with the liquidator's figure of £9,398.58. I have taken the initiative to liquidate the company out of a sense of professional responsibility. This was not a decision I undertook lightly - it is an understatement to say this decision cost me emotionally, morally and, indeed, financially. There is a lesson to be derived, with respect to insurance brokers in particular and to starting a small business in general. The company addressed its market niche very successfully. It was let down by certain professionals, providers and by the IT system suppliers. The lack of support and service placed it into a critical situation and wasted lots of its resources. As for that alleged personal guarantee, it came as a surprise to me. The form is dated May 7, 1997. This means the company had NIG agency for about five continuous years and paid all its premiums, bar the above minimal amount. The details of liquidation states the company had legal claims of more than £700,000 and was unable to pursue them due to the cost of litigation. Yet NIG did not hesitate to dig in their drawers, dust off a scruffy sheet of paper and hound me. Acting for them for five continuous years did not seem to matter. When you start a new insurance broker, you need products to sell - that is, you need agencies. Then these guarantees are presented among other agency formalities. So would Insurance Times start a campaign with respect to such guarantees and the circumstances in which they are given? What is the opinion of the Chartered Insurance Institute and other professional bodies with respect to such guarantees? Out of this bitter experience, I have something to say to my colleagues in the insurance broker industry: search your files if you signed a personal guarantee to any insurance company. If you did, request them to cancel it; otherwise stop acting for them. And for these starting new business: do not give a guarantee to any of them, even if this would render the whole project a non-starter. A letter to the editor will naturally have its limitations. The idea of writing a book on this experience is brewing. I have just re-read Duncan Bowker's article on the effect of Sarwar v Alam on before the event (BTE) and after the event (ATE) cover and nowhere in this does he mention using DAS or any other independent uninsured loss recovery ULR company. If he had done so, there might have been a greater understanding of his position. However, Bowker does not follow this up with his attitude on the lack of competition in this form of selling ULR cover. Surely, providing ULR from a single supplier without offering the client any kind of choice completely cuts out his or her right to choose? With the problems the General Insurance Standards Council (GISC) has recently had as regards to competition laws, I would not have thought this was the right time to go down that particular road. Even without that element, there is still the client's perception to consider - if any service is provided by the insurer, the insurer is seen as being part of that service and justice is not always seen to be done. In the name of the General Insurance Standards Council (GISC), I would have thought the key words are "insurance standards". All the major insurance companies are members of the GISC and comply with all the appropriate regulations. GISC was established for the protection of the public. Ask any member of the public exactly what they require from their insurer or broker and most would reply that quick and fair settlement of any claim would be number one, followed by receipt of insurance documents. This week I received a simple property owner's policy for a proposal form sent to a major insurer in April. I have written five letters to clients, explaining their policy is due for renewal this week, but that no renewal terms had been received and a 14-day extension has been granted. I am still waiting for new business quotations for submissions made three weeks ago. I received a letter stating that a particular incident was not covered - the claim form was sent to the insurers at the beginning of August. I have clients who have had large theft and co-insurance clauses imposed while awaiting surveys and, after four months, the surveys have still not been arranged. One insurer advised me it had now caught up with its backlog and was now dealing with correspondence received as recently as June. All the above are from "top five" insurers. Can someone explain how insurers can be members of the GISC when they are simply incapable of providing a satisfactory "insurance standard"? Surely it is right and proper for standards to be in force and part of the regulatory framework. I found the article "Brokers `must join the PPB'" (Insurance Times, September 27) very interesting, but does Tony Lancaster really expect brokers to monitor the financial strength of insurers when the Department of Trade and Industry (DTI) found this difficult? 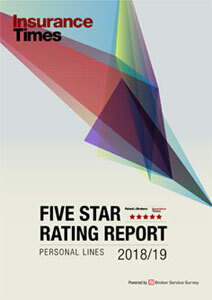 I do not believe the ratings agencies are any better placed, as suggested by Catherine Nicoll, whereas surely the Financial Services Authority (FSA) has the teeth to look closer at insurer accounts. Today, there are a number of insurers that are writing business at £60 against a prudent insurer's premium of £100. On this basis, something like £35 for a risk worth £100 will be carried forward as the unexpired reserve, whereas the prudent insurer is reserving £60. Anyone can see that the prudent insurer's reserve equals the premium charged by the lower-priced insurer. Charging a low premium encourages high growth, from which current claims and expenses can be met. However, if growth falters, the reserves will be inadequate and the insurer will collapse. I don't know how many times this has happened during my career, but I guess it is dozens. I believe it is essential that auditors and the FSA look deeper into insurers' books to ascertain their pricing strategy to ensure they really have the reserves to support their liabilities. If any insurer is found lacking, then that insurer should be forced to increase its asset base by an injection of cash or should be stopped trading immediately. Your article "Amber Credit takes on market leaders" (Insurance Times, October 4) suggests that, prior to Amber's entry into the market, non-recourse commercial products were only available from two premium finance providers. However, I feel I must inform you that Singer & Friedlander Insurance Finance has been active in offering this very product since its launch in 1996. 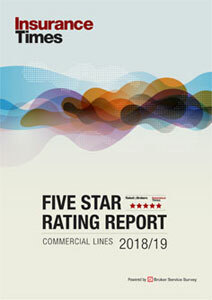 The company has been a major player in the commercial lines market, with both recourse and non-recourse products available to brokers and intermediaries. Indeed, Singer & Friedlander Insurance Finance has benefited from a three-fold increase in sales of its insurance finance products since 1998, with business doubling in 2000 over 1999. With expectations growing for the forthcoming year, I felt it was appropriate to highlight the presence of Singer & Friedlander in this market, having been omitted from the article.